With two kids in daycare and a mom who is a middle school teacher we use a lot of hand sanitizer. I always am a little hesitant though to give my two young sons hand sanitizer. That is until now. 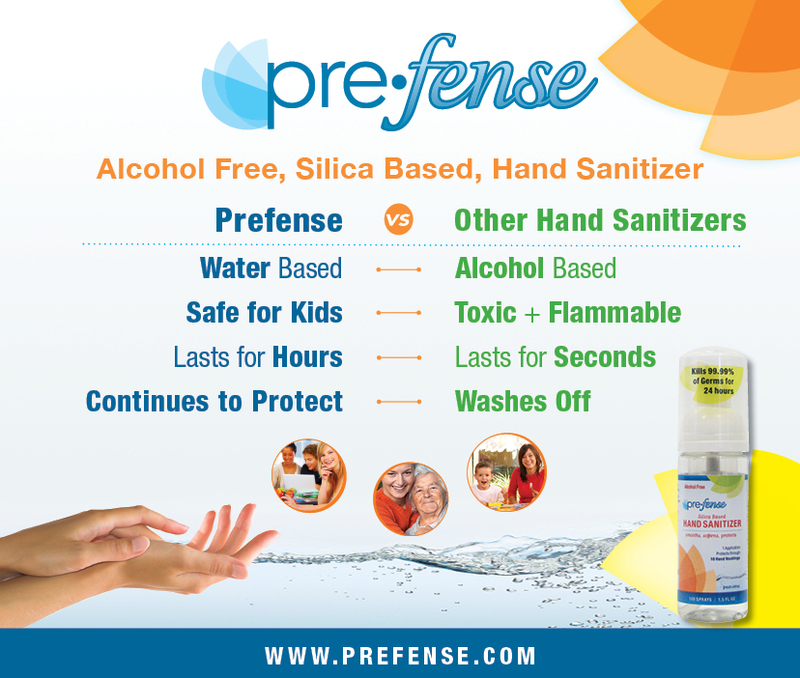 I recently had the opportunity to try Prefense hand sanitizer and my boys and I are hooked. As most of you may know most hand sanitizers are alcohol based. Prefense however is water based. As a result you do not have to deal with the drying effect of other hand sanitizers. 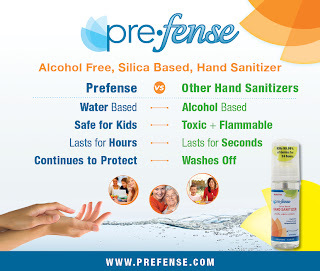 Prefense also lasts longer then most hand sanitizers. It actually lasts for hours so one squirt will get you through 10 hand washings! I know this sounds impossible but it is amazing! Prefense is made from a silica complex that produces a protective, invisible, moisturizing barrier that does not wash off easily. So not only are you being protected from germs when you use Prefense but your hands are being moisturized as well. This is one of the few hand sanitizers on the market that are actually safe for kids to use. Since I received the Prefense hand sanitizer I have carried it in my bag and each son gets a squirt before going into daycare and I get a squirt before I go to work. This is a great options for Amazon users since you can often get Free shipping on Amazon once you spend $25. 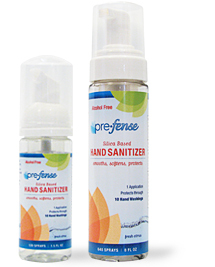 Prefense really is a fantastic hand sanitizer. I love that it is safe for children and really lasts for 24 hours. Prefense has decided to offer one of my readers an 8oz. bottle of Prefense. This is an $18.99 value! This 8 oz. bottle will last you for a very long time since it has 640 applications!This giveaway is open to US residents only.